The Curious Wavefunction: Physics and the search for fundamental laws: Is physics turning into biology? Physics and the search for fundamental laws: Is physics turning into biology? Physics, unlike biology or geology, was not considered to be a historical science until now. Physicists have prided themselves on being able to derive the vast bulk of phenomena in the universe from first principles. Biology - and chemistry, as a matter of fact - are different. Chance and contingency play an important role in the evolution of chemical and biological phenomena, so beyond a point scientists in these disciplines have realized that it's pointless to ask questions about origins and first principles. The overriding "fundamental law" in biology is that of evolution by natural selection. But while the law is fundamental on a macro scale, its details at a micro level don't lend themselves to real explanation in terms of origins. For instance the bacterial flagellum is a product of accident and time, a key structure involved in locomotion, feeding and flight that resulted from gene sharing, recombination and selective survival of certain species spread over billions of years. While one can speculate, it is impossible to know for certain all the details that led to the evolution of this marvelous molecular motor. Thus biologists have accepted history and accident as integral parts of their fundamental laws. Physics was different until now. Almost everything in the universe could be explained in terms of fundamental laws like Einstein's theory of general relativity or the laws of quantum mechanics. If you wanted to explain the shape and structure of a galaxy you could seek the explanation in the precise motion of the various particles governed by the laws of gravity. If you wanted to explain why water is H20 and not H30 you could seek the explanation in the principles of quantum mechanics that in turn dictate the laws of chemical bonding. But beyond this wildly successful level of explanation seems to lie an impasse. The problem arises when you try to explain one of the most profound facts of nature, the fact that the fundamental constants of nature are fine-tuned to a fault, that the universe as we know it would not exist if these constants had even slightly different values. For instance, it is impossible to imagine life existing had the strength of the strong force binding nuclei together been even a few percent smaller or larger. Scientists have struggled for decades to explain why other numbers like the value of Planck's constant or the electron's mass are what they are. In fact this is one of the biggest gaps in the Standard Model of physics, an otherwise spectacularly successful paradigm that nonetheless contains arbitrary constants that defy an origin story. It seems now that physicists are giving up trying to explain conundrums like these, or at least giving up trying to do it the way they always have. Two books that I read recently drove the point home to me. One was Max Tegmark's "The Mathematical Universe". In the book Tegmark takes us on a dizzying journey through modern physics that ends in the fanciful realm of multiple universes. It's hardly the first book to do so. 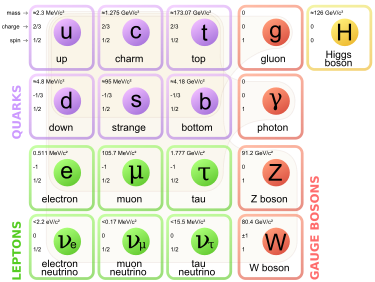 Multiple universes have been invoked to explain many problems in physics, but their most common use is try to explain (or explain away, as some seem to rightly think) the problem of the fundamental constants. The purported "solution" sounds simple; we can stop wondering why the fundamental constants have the precise values that they do if we assume the existence of a potentially infinite number of universes, each of which has a different set of values for the constants. Our universe just happens to have the right combination that allows sentient life to arise and ask such questions in the first place. Leaving aside the fact that multiple universes still belong to speculation and science fiction rather than science, what is really striking about them to me is that they have finally transported physics into the realm of biology. What physicists are essentially saying is that there have been several universes in the past and there are likely several universes in the present, and our unique universe with its specific combination of fundamental constants is an accident. The multiple universe argument is very much similar to the argument establishing evolution by natural selection as the centerpiece of biology: there have been several species with several genotypic and phenotypic features, and our own human species is a result of contingency and historical accident. This is not so much an explanation as an admission of incomplete knowledge, but biologists are fine with this since it does not obviate any natural law and is still part of a satisfying overarching theory. 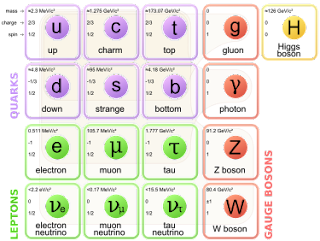 "Dramatic developments in cosmological findings and thought have led some of the world's premier physicists to propose that our universe is only one of an enormous number of universes, with wildly varying properties, and that some of the most basic features of our particular universe are mere accidents - random throws of the cosmic dice. In which case, there is no hope of ever explaining these features in terms of fundamental causes and principles." "We now find ourselves at a historic fork in the road we travel to understand the laws of nature. If the multiverse idea is correct, the style of fundamental physics will be radically changed." Although Weinberg does not say this, what's depressing about the multiverse is that its existence might always remain postulated and never proven. This is an ever worse scenario because the only thing that a scientist hates even more than an unpleasant answer to a question is no answer at all. It's not inaccurate to say that many physicists - and especially those like Weinberg who have been part of the spectacular revolution in physics during the 60s and 70s - are distressed by this fact. The metamorphosis of physics into a historical science means that many of the facts that have troubled the field's foremost practitioners may be a product of chance and fundamentally unexplainable in terms of more basic laws. I must emphasize that this is not some kind of "end of physics" scenario that I am imagining here (unlike my colleague John Horgan); there are still plenty of very challenging questions dealing with the application of the fundamental laws that will keep physicists occupied for decades. Foremost among these may be the conundrum of emergent phenomena which themselves are very fundamental in fields like neuroscience and economics. I am also not implying that physicists should simply give up looking for fundamental laws. But their methodological take on finding these laws may have to change. As far as the deep question of why certain building blocks of the universe seem to exist within very narrow constraints is concerned, physicists might simply have to accept that there is no true causal explanation for the fact. String theory, which at one point was considered a promising strategy to unify quantum mechanics and gravity and possibly explain such problems, has been severely floundering for the last few years. Bereft of testable predictions, some of its proponents have now resorted to thinking of the theory as a good example of “non-empirical” science. This kind of thinking seems to me to be an alarming cop-out. As the physicist Carlo Rovelli explained in a recent talk, many predictions like antimatter and the bending of starlight of gravity have started out as non-empirical predictions based on pure thought. But they were not regarded as a legitimate part of science until they were experimentally verified. In addition the predictions they made were testable in a very well defined manner. To consider a theoretical framework as perpetually being a legitimate part of science as a non-empirical framework would be contrary to all the science that we know and love. Are physicists justified in feeling despondent because they seem to be tapping the bottom of the barrel in their search for fundamental laws and because their efforts to explain these laws at a truly basic level have not borne fruit? I don't think so. Biologists have known about contingency and accident ever since Darwin wrote his great book, but not only has this not made them emotionally unstable but it has also not kept them from making spectacular discoveries in their discipline. Just because a system of laws might have a historical origin based on accident does not mean that there are no great truths about the system still waiting to be discovered. But more importantly, perhaps physicists need to embrace contingency to be as much of a fundamental law as any other. Biologists know this; in fact they know that there would be no evolution in the first place without contingency, and they know that it is thanks to historical accident that they get to study the incredibly rich cornucopia of living structures that the earth has presented to them. The best thing would be for physicists to realize that just because the ultimate laws of their discipline might have a fundamentally accidental origin, it does not mean that the manifestations of those laws are any less important or useful. The most important page they should lift out of the biologists' playbook is very simple; when ideas about a field evolve, it is best for the practitioners of the field to evolve too. We mere mortals do not have access to ultimate reality. It MIGHT be vectors in an infinite dimensional Hilbert space but I doubt it. We only have access to sense impressions. We make mathematical models. LOTS of mathematical models. I don't agree with the fine tuning argument. Consider Conway's game of life. Conway's game constitutes a universe very different from our own and with very different laws of operation. But life and intelligence can evolve in it. I'm aware that there are self-reproducing patterns in Conway's Game of Life, but is there evolution? Is there open-ended evolution that can produce interacting individuals, ecosystems, alliances and order on ever higher levels? Intelligence? Whether or not one is deeply disappointed may depend on whether one sees the goal as "explaining" (whatever that means) or *predicting* the results of experiments from as small as possible a set of assumptions. In the latter case ("shut up and calculate") it would be nice but by no means essential for that small set of assumptions to be free of arbitrary parameters, and the "reality"(whatever that means), or not, of alternate universes is just a distraction. The role of things like String Theory is then first to find (and then later to test) a prediction method that makes sense under circumstances not covered by the two main models (General Relativity and Quantum Field Theory) which now work so well for much of our experience. In the light of past experience it was reasonable to hope that such a combined theory might involve fewer arbitrary parameters because of not making mathematical sense unless they were just right, but the vast range of probably constructible theories now makes many people less optimistic about such a reduction. That pessimism may be premature however, since none of those possibly constructible theories has a clear pair of limiting cases corresponding to QFT and GR, and it may still turn out that only one of the multitude does the job at all. Even if the multiverse concept is still a speculation - a more likely possibility is something in the lines of "if you leave an immortal monkey in a room with infinite supply of paper and ink, at some point the entire work of Shakespeare will be reproduced".....kind of similar to the "accident" theorem that the the universe has existed long enough for varying combinations of conditions to exist and it is in one such "combination" that we exist. Now if we were to bring in the assumption that multiple universes exist - it is all the more likely that this "combination" occurred sooner than later. Attempting to generate theories to understand the origins beyond a certain point is reducible to attempting to solve the Halting Problem. In a very very very abstract sense - human mind and thought processes can be thought of a Non Deterministic Finite State Turing Machine. Yes, the "multiverse" idea is anathema to the spirit of science. The multiverse is an "explanation" that can (by definition) never be observed or studied in any way. There are alternative routes toward explanation that may even more anathema, but for different reasons - they are uncomfortably close to allowing religion a seat at the table. The word "teleology" has become synonymous with "unscientific", but at least it leads in testable directions. Even more untouchable, the word "design" has been usurped as a disguise for Christian fundamentalism. But to me, the idea of a consciousness or life force that acts below the radar of currently observable science seems a much more natural direction than postulating a zillion zillion other universes that we can never see. And there is evidence from biology, from quantum physics, from evolutionary biology, and from the ostracized science of telepathy that offer the promise of a new synthesis, closing the loop, connecting the derivative science of biology with the fundamental science of physics. Just as an aside, I wonder if people have taken account the fact that the value of any physical parameter can be taken to be unity when it is designated as a "fundamental constant?” In other words if a theory has m relations and n fundamental quantities, only m-n relations can be of significance. I have not the slightest idea of m or n in any particular theory, but I would certainly find out befor I got too involved.